Moving is a major event and a cause of stress for many businesses and homeowners. When hiring professional movers, you want to be positive that you can rely on them to handle and transport your items with care and respect. For more than 25 years, Central Moving & Storage has been a trusted Orlando moving company, offering customer-oriented services and personalized moving solutions. 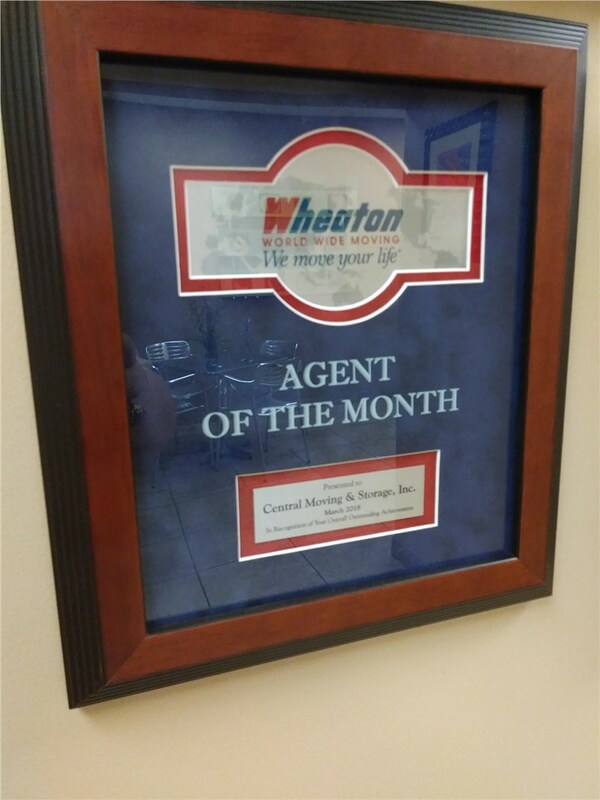 Our hard work has built us a reputation in the industry, and we’re proud to announce that in March 2018, we were named “Agent of the Month” by Wheaton World Wide Moving. At Central Moving & Storage, we understand that no two moves are identical and unlike other companies, we don’t offer cookie-cutter moving services. Our willingness to create customized moving plans for every project we take on is just part of what makes us an award-winning moving company in Orlando, FL. From start to finish, our team will work with you to ensure that we accommodate all of your needs, including your budget. If you’re planning a move, do yourself a favor and get in touch with the March 2018 Wheaton World Wide “Agent of the Month,” Central Moving & Storage. We’d love to provide you with more information regarding how our exceptional services can streamline your move for a completely stress-free experience. Give us a call or complete our online contact form to request your free, no-obligation estimate of moving costs.